The majestic 80 tall foot horse chestnut tree is the first thing you notice when you enter Blythewood Farms. This 200+ year old tree predates the farm itself and stands atop of the entrance overlooking the surrounding farmland. The iconic horse chestnut tree on Blythewood Farms was the natural choice for us to use as a symbol of our company. 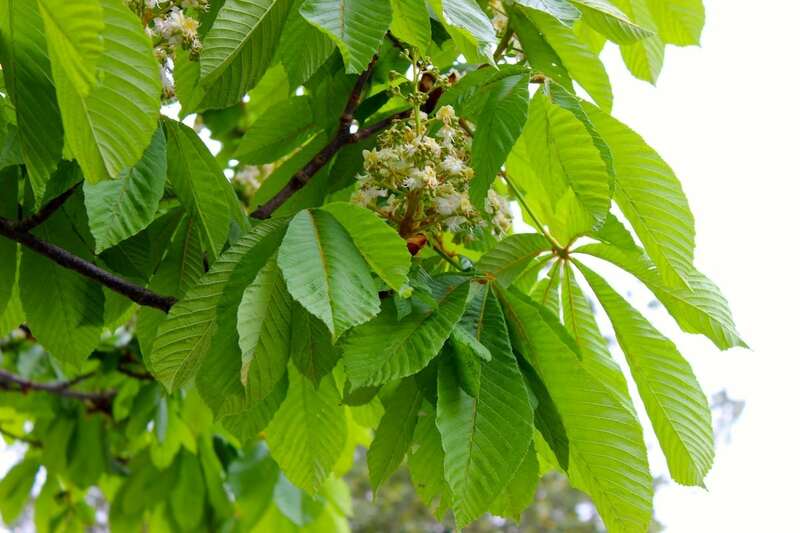 Although the horse chestnut is very rare (it is the cousin of American chestnut tree which is disappearing across America due to disease), our clients are helping us restore this tree species to the full majesty of nature, one horse chestnut tree at a time. “What kind of tree is that?” is the question we hear most when clients see our logo. To the untrained eye, the unusually large leaves and what appear to be odd fruit make the tree look like an exotic tropical tree. But the icon is actually a horse chestnut tree, a representation of the great tree centered on Blythewood Farms. 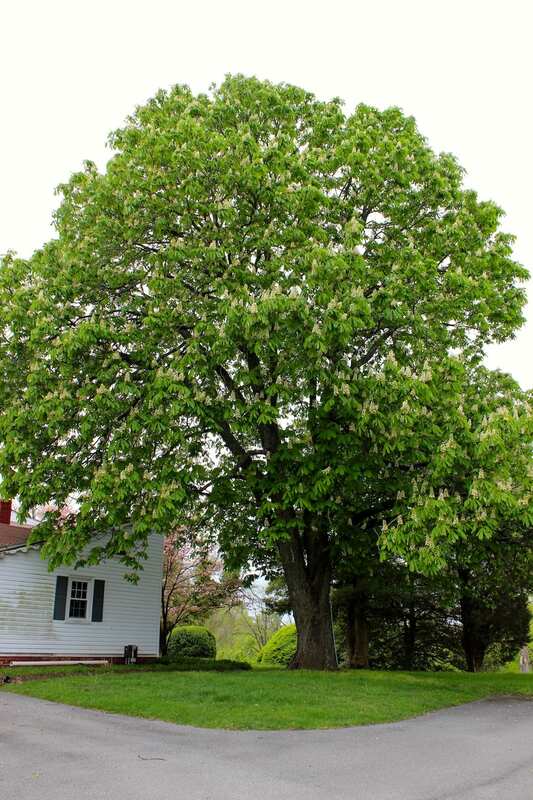 This rare species of tree may soon no longer exist across Maryland. As ardent conservationists, we working on restoring horse chestnut trees across the state by planting one chestnut tree at a time. Not only are horse chestnut trees prominent in size and beauty, they are critical to the ecosystem in which they live. A horse chestnut will greatly enhance the beauty of your property and will serve as a focal point for many years to come. 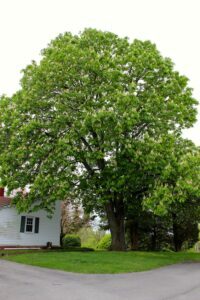 Horse chestnut trees grow very fast with heights over 100 feet and widely spreading branches. In full bloom, the leaves can be nearly 1 ft long with white flower clusters. The fruit of the horse chestnut is a dark brown smooth-surfaced nut approximately 2 inches in diameter which are commonly used in herbal medicine. 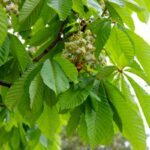 If you are interested in helping restore the horse chestnut species and having one planted on your property or you would like to help in other ways, please contact us here. We look forward to hearing from you.